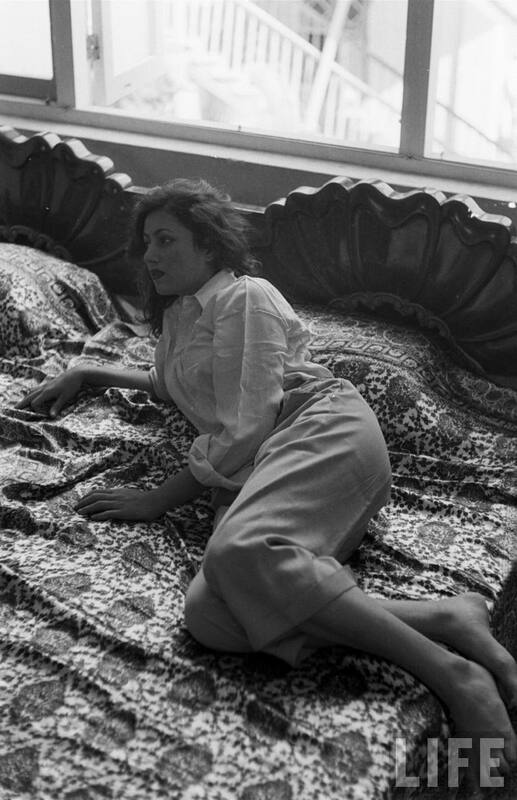 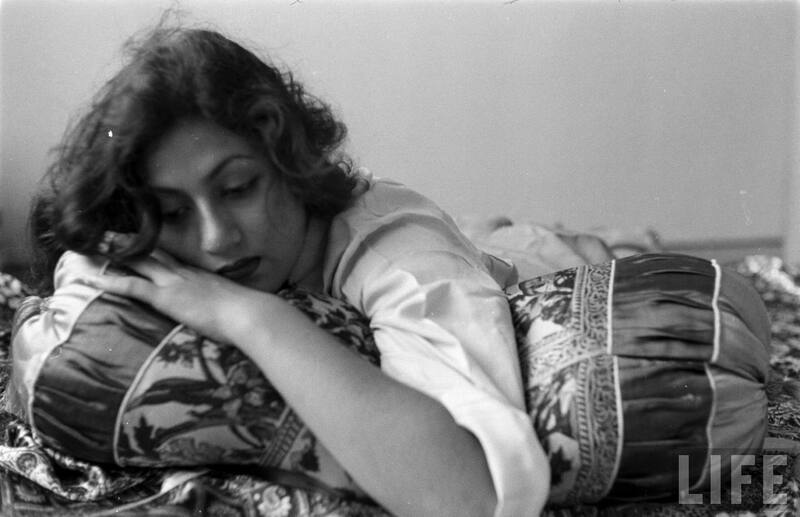 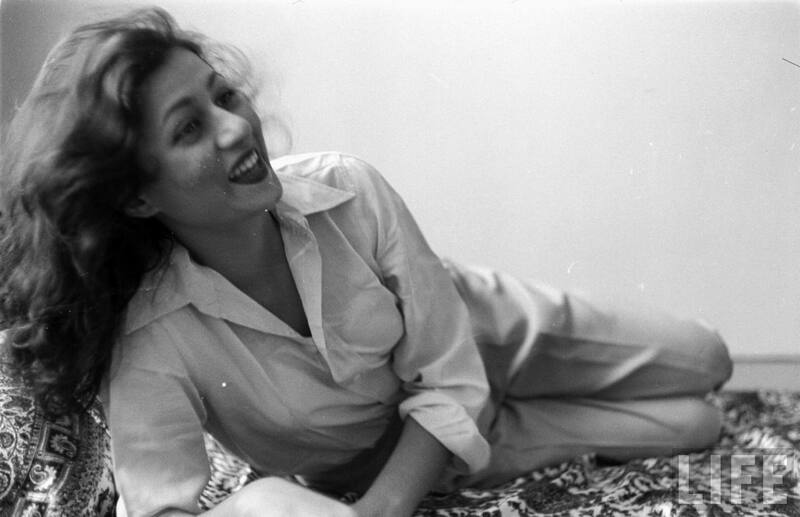 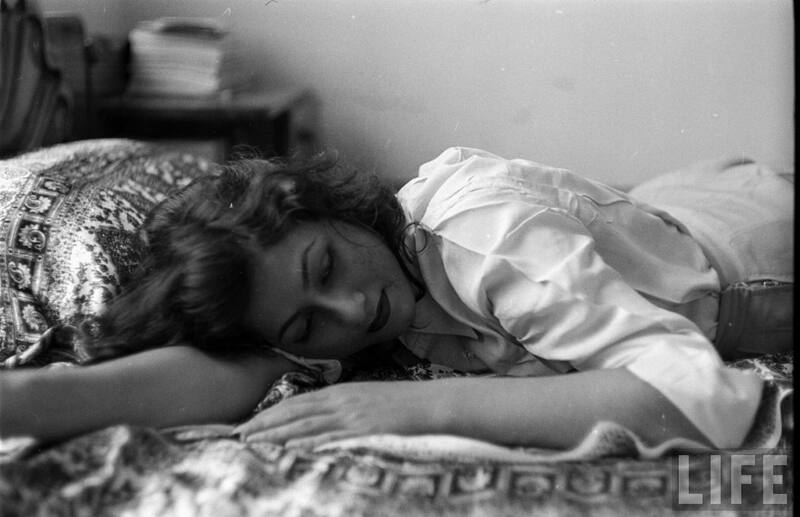 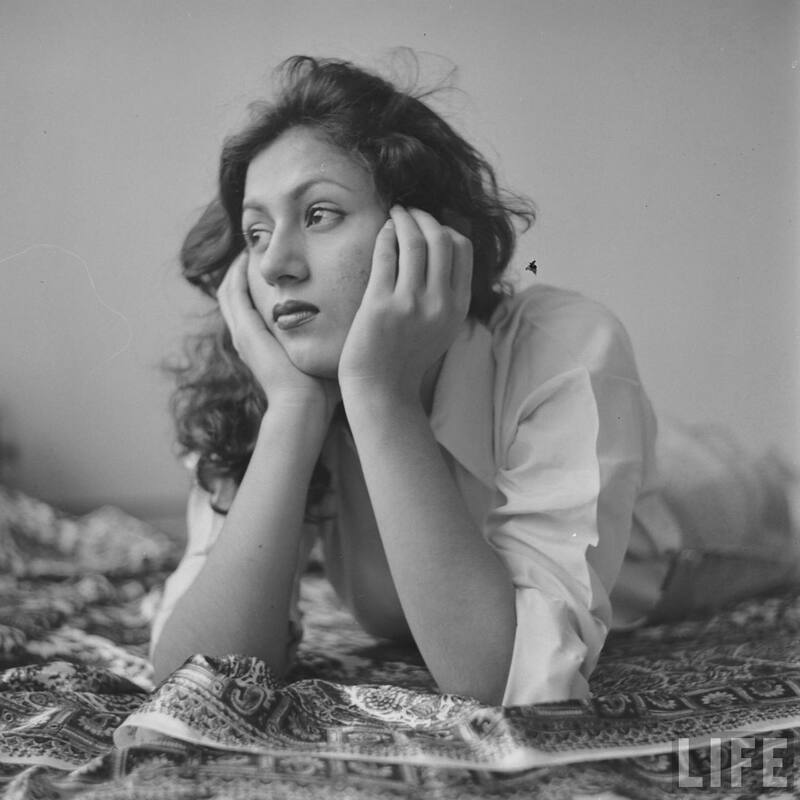 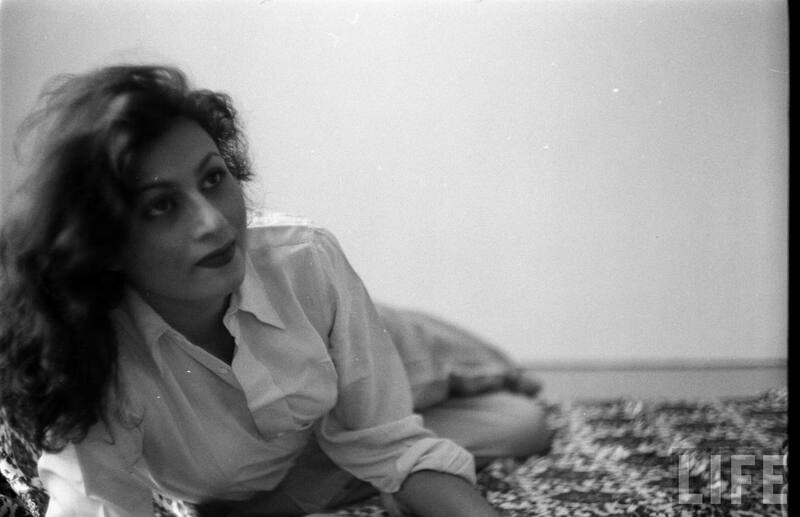 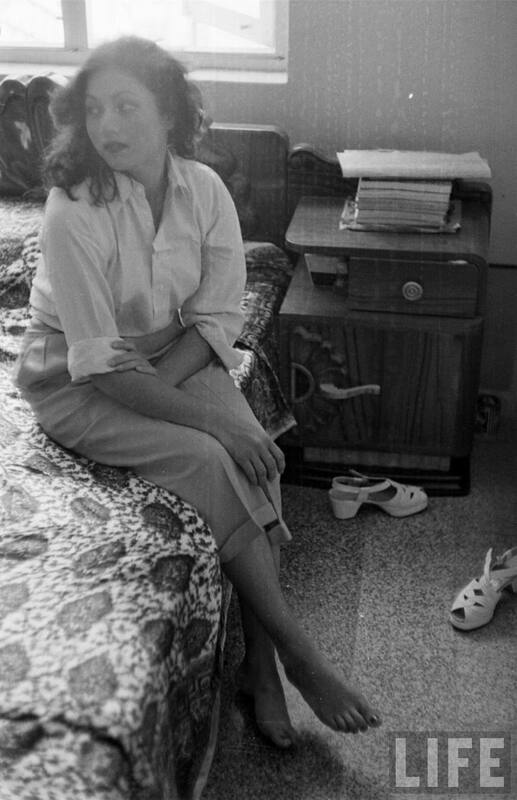 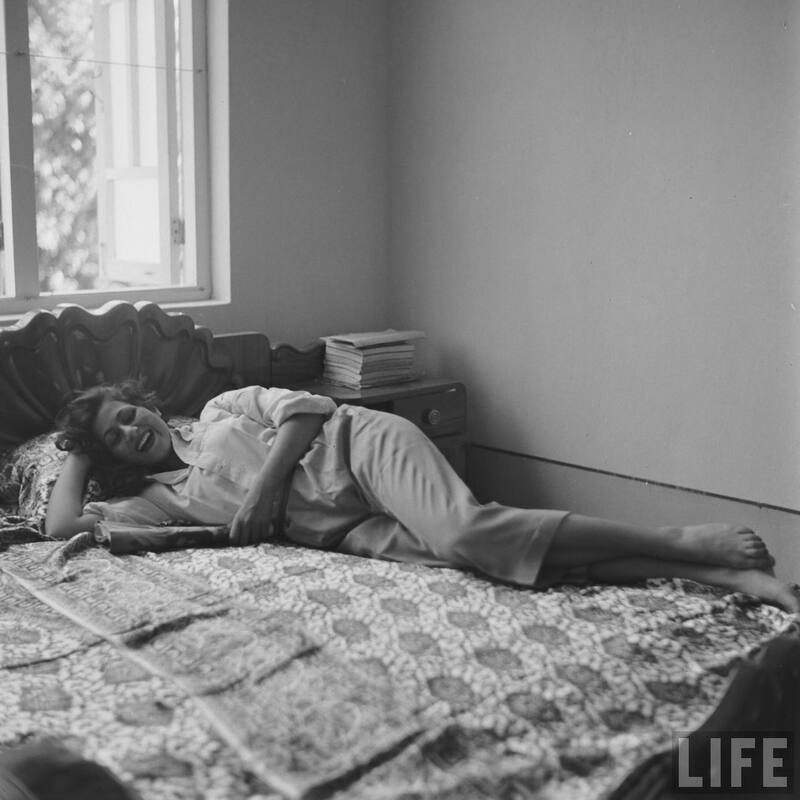 Madhubala (1933 - 1969) was one of the great and talented Hindi movie actresses of 1950's-60's. 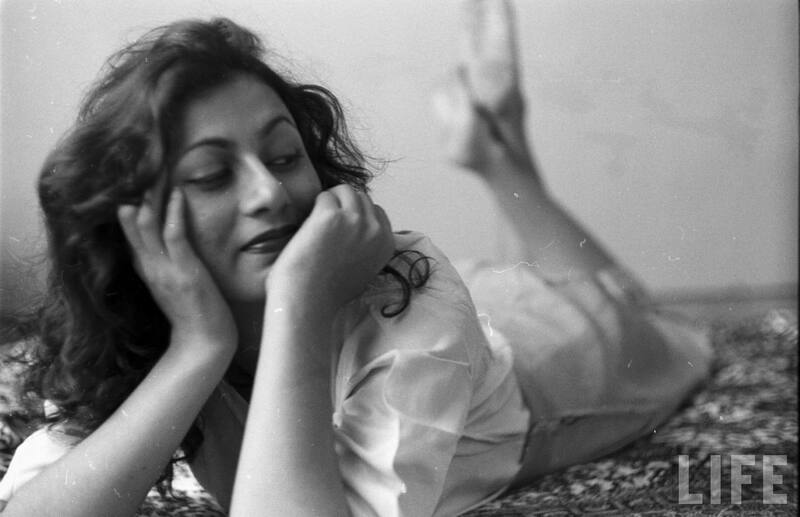 She acted in many successful and classic Hindi movies like Mahal (1949), Mr. & Mrs. '55 (1955), Howrah Bridge (1958), Chalti Ka Naam Gaadi (1958), Mughal-E-Azam (1960), Half Ticket (1962). 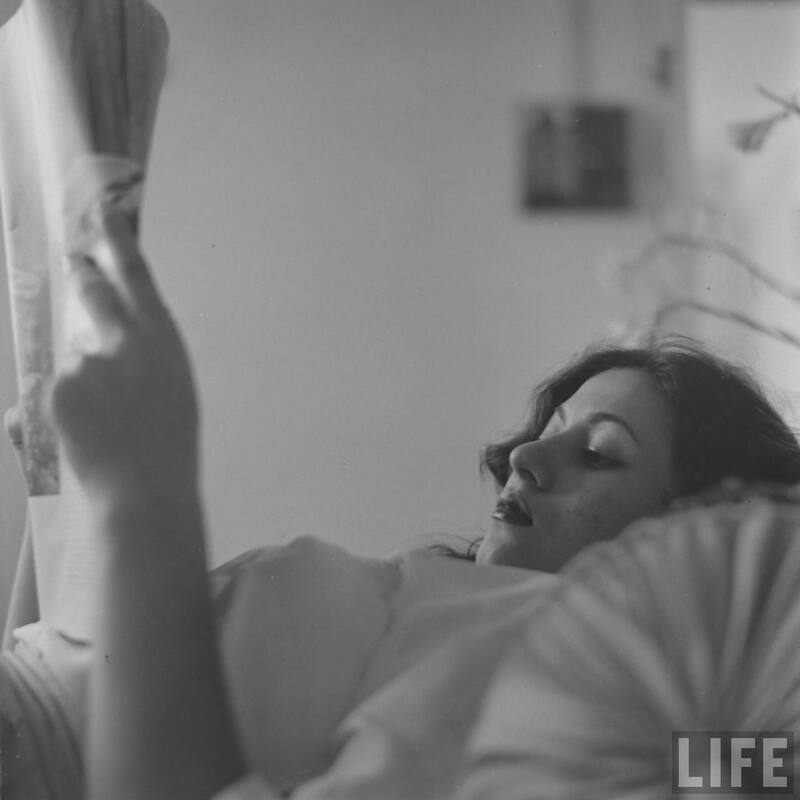 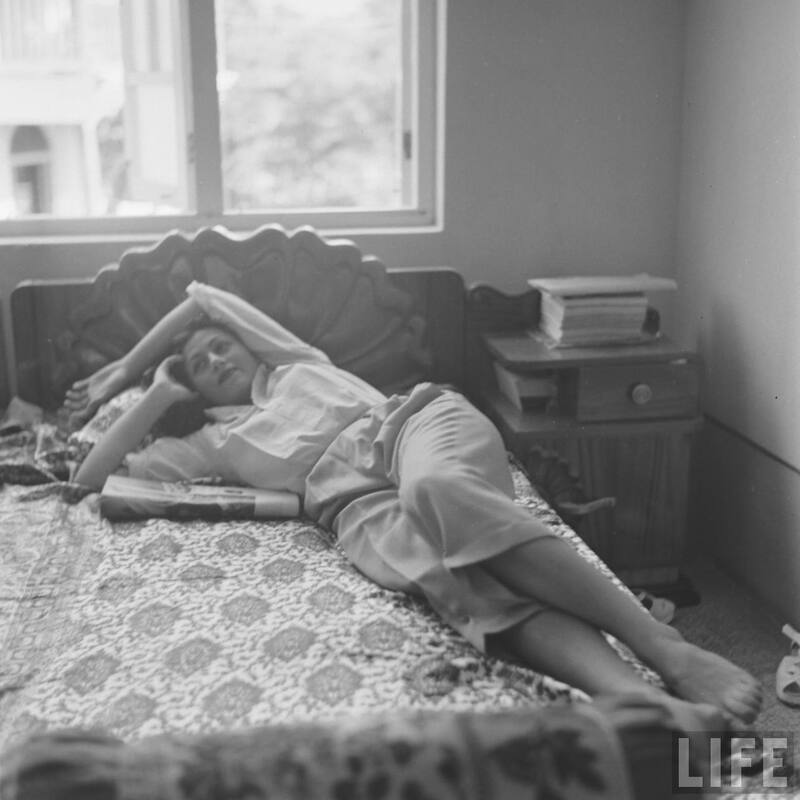 These personal and rare photographs were taken by James Burke for Life Magazine. 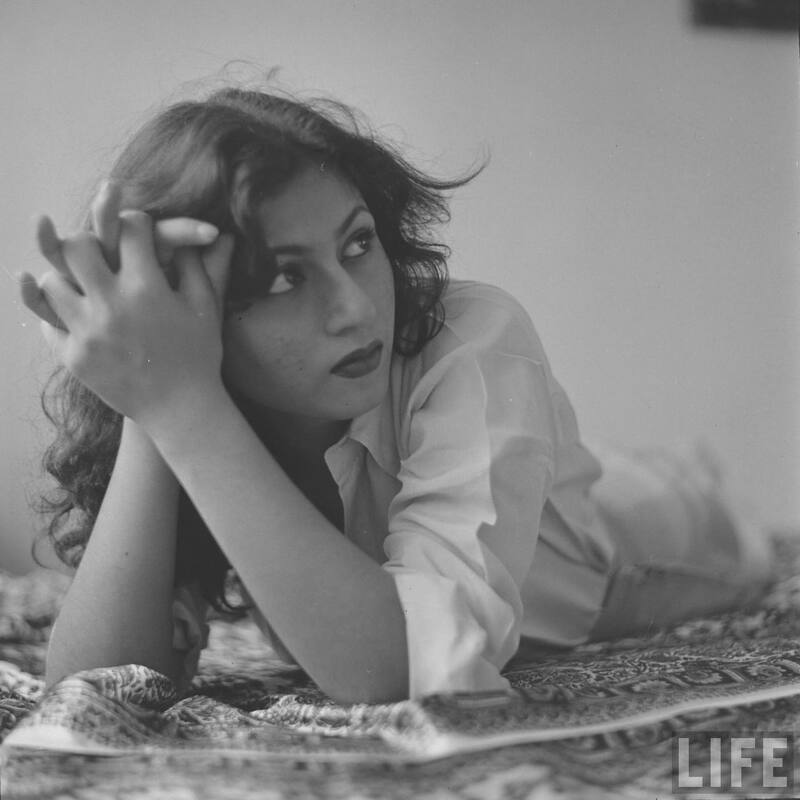 The Life archive hosted by Google wrongly documented the date of these photographs as 1941, but probably these photos were taken in 1951.